On this morning, three years ago, I was eating breakfast in the inn we stayed at overnight in Stanton, Virginia. My mom, sister, future sister-in-law, and two cousins joined me. We were enjoying our food and then off to get our hair done for my wedding. I can still vividly remember everything about that morning and day. From the way I felt to the details of how the prepping, ceremony, and reception unfolded. This morning, I sat at the dining room table with husband, wrapped in a blanket and still in my pajamas, eating a breakfast he made while I slept just a little longer after nursing our 9 1/2 month old. There are no hair appointments to follow (though a good blow-out and styling doesn't sound too shabby for this lovely bed head), just a simple day ahead of us and a sweet celebration of our marriage later this evening once husband is home from class. I can't believe how quickly these last several years have gone. They have been filled to the brink with joy, challenges, adventure, sadness, laughter, tears, and milestones. I'm thankful for all that we have shared in these three years. We've seen new jobs, making a house a home, pregnancies, the loss of our first baby, the birth of our daughter, bought a house, graduate school, and countless new traditions. There is no one else I'd rather do the good and bad of life with. Husband is my best friend, confidant, cheerleader, encourager, and balancer. There are days he keeps me sane and others where he drives me insane. We have the best kind of fun together. We are there for the quiet moments, the loud and crazy ones, and the simple ones. It can't get better than him. Because I'll be watching this several times, you might as well too :) Here's what we were doing three years ago today. 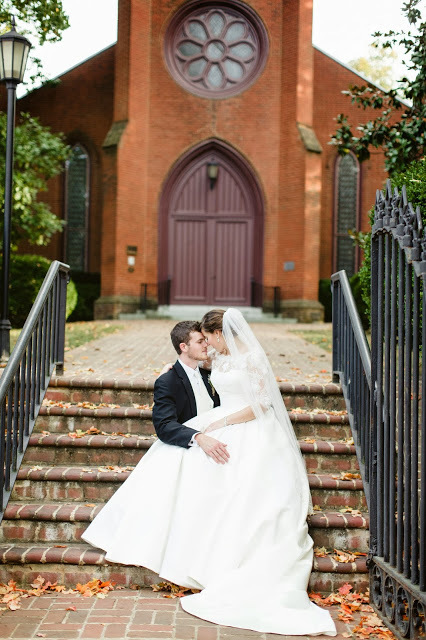 And if you love wedding photos, take a peak!